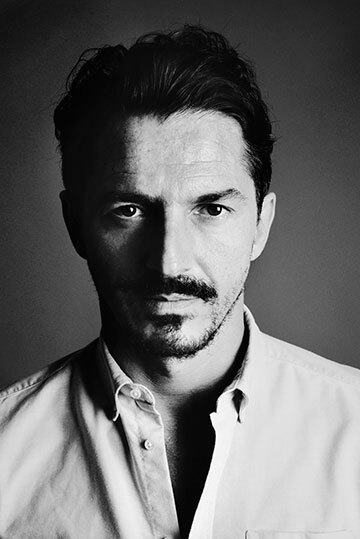 Alexandre de Betak is the founder of Bureau Betak, one of the fashion world’s most prestigious production companies whose reach extends across the globe, designing the sets and production for fashion shows and exhibitions for the likes of Christian Dior, Viktor & Rolf, Hugo Boss, Rodarte, and many more. From Paris to New York, Shanghai and beyond, De Betak’s temporary creations employ fantastical light displays in spectacular locations; his taste for immediate, high-voltage minimalism blending with a myriad of designer aesthetics for an explosive effect. De Betak’s personal projects however speak a quieter vocabulary of calm, sinuous, and at times humorous design – with his Majorca home exhibiting the pinacle of this aesthetic through its whitewashed, curved design filled with hidden alcôves and re-purposed vintage windows and doors. De Betak’s latest objet d’art is a pair of breast-shaped wall lamps, moulded terracotta sconces made on the island of Majorca by local craftsmen to his spécifications – each handmade and hence unique. Their subtle shape elongates up the décolleté towards the neck, on more traditional sconce designs to further the subtle, absurd nature of each piece. Fixed to the wall, each emanate a softly glowing incandescent light.